The isolated radar station at RAF Aird Uig on Lewis was built to give early warning of a Soviet attack on Britain. A military base used to hunt for nuclear submarines during the Cold War is set to become one of the UK’s most remote whale-listening spots. 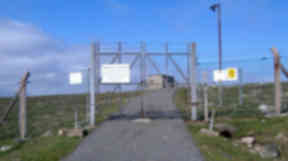 The isolated surveillance station at RAF Aird Uig on Lewis was built to give early warning of a Soviet attack on Britain as tensions grew between the west and the USSR after the end of the Second World War. But the collapse of the Soviet state and the advance of modern satellite technology made the base redundant and a pair of long distance radars which protected the UK for decades were dismantled. On Wednesday, a group of islanders voted 21 to two in favour of buying the 80-acre site from the Ministry of Defence. 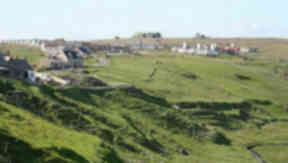 They now plan to demolish some of the buildings at Aird Uig and convert the former base into a tourist attraction featuring an observatory, gallery and visitor centre. They will also install underwater microphones to record the whales and basking sharks which regularly swim through the peninsula. It is believed an amicable purchase could be negotiated with the MoD.